Montefiore, Santa. 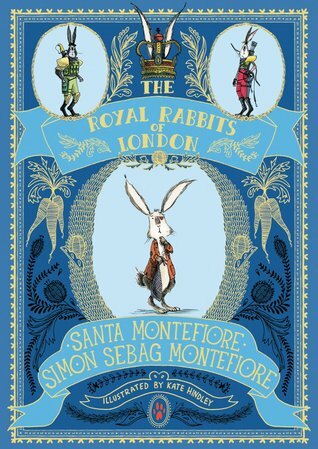 The Royal Rabbits of London. Simon Schuster, 2016. Shylo is the smallest of his brothers and sisters, and while they have grown strong and are good at foraging food for their family, he prefers to sit and read. One day he overhears some ratzis planning to take pictures of the Queen, and as he has learned that rabbits always protect the human queen, he is determined to help in any way he can. Thus he travels to London and meets up with the royal rabbits and attempts to stop the rats before they can besmirch the queen's reputation. This is a clearly British story and some of the details may be lost on American children who read this book. The rabbit adventures are adorable, however, and the illustrations are engaging and appropriate to the story. Children who enjoy fantasy stories will love this tale, and teachers can use this book as a read aloud story for their classrooms.